In my Goals post I mentioned tentatively that I wanted to do more with knitting and crochet… well I’ve made a start already! Jillyrosie on Instagram this week posted that she was starting a sky blanket and after looking into it.. I thought why not. It’s a good way to get me knitting regularly and is just a square. Laura from Bugs and Fishes dreamt up the original concept and to see her post on how to make one go here. 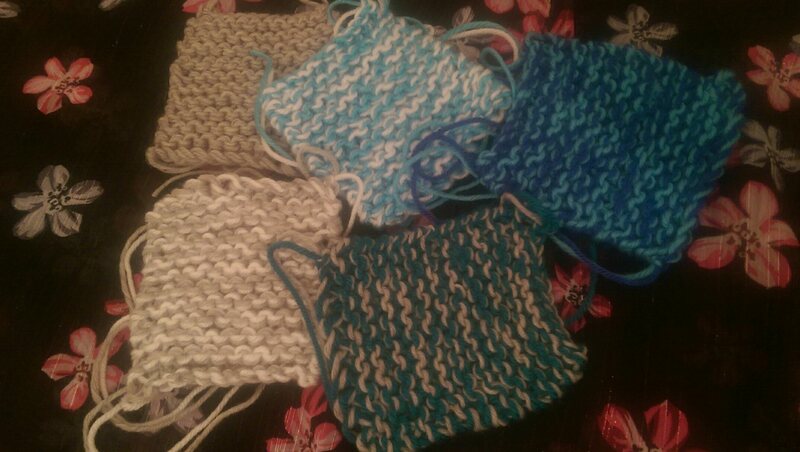 But basically all it is, is knit a square each day matching it to the colour of the sky. Easy right? Hmm due to some unexpected car expenses (hello new battery and tyres) I needed to dig into my stash and not buy anything new until next payday. Sadly I don’t have the size 6 needles so using size 8 instead! Trying to stick with good quality acrylic yarn but I have deviated on colour slightly… since it be boring to have two squares exactly the same at times I’m allowing myself the reflection of the sky in the water… as being in Cornwall we do have beautiful sky and water scenery! 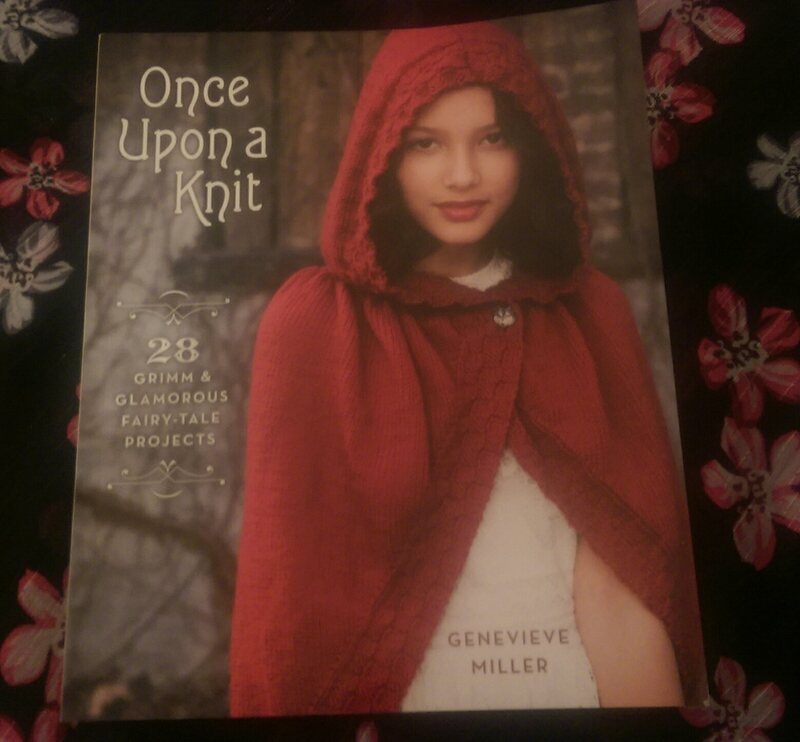 I picked up this book in the Works Sale last week and can’t wait to get started on some, a couple projects have caught my eye already. 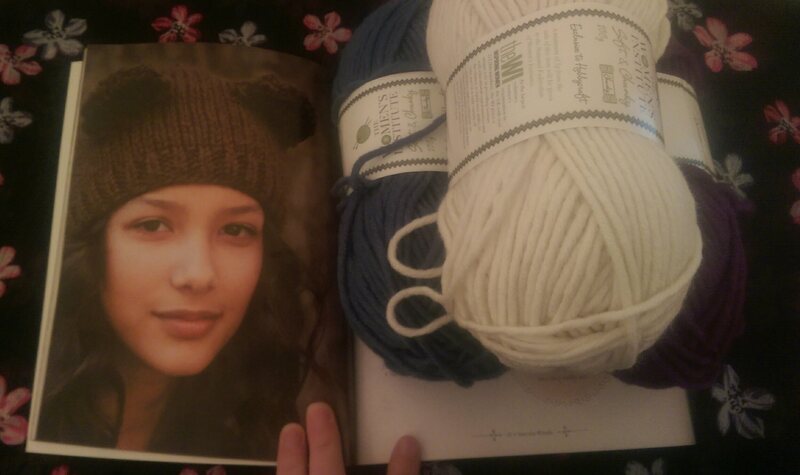 I really really want to do this hat in either of these chunky yarns but the only problem is I have all the circular needles up to size 10 but it wants size 11, 13…..sighs why can I never have anything I need when starting a new project! 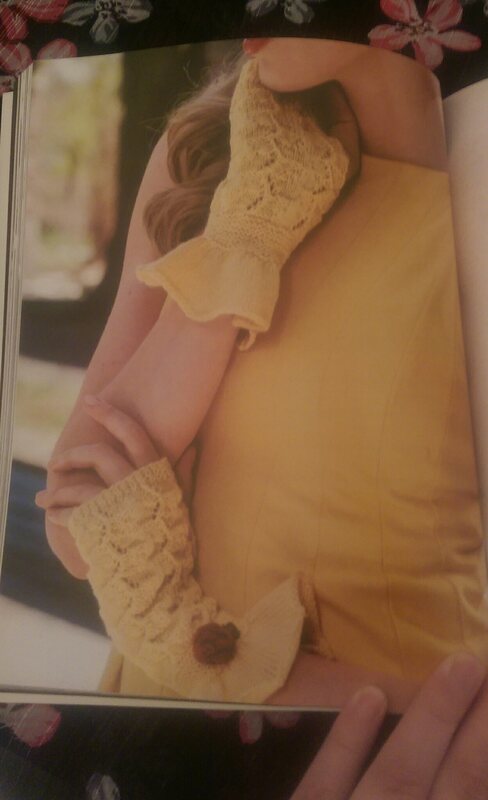 I def recommend this book if you are into Fairytales inspired knits, after conquering the hat it’ll be Belle’s bookish gloves… look aren’t they pretty? Maybe not in yellow though… don’t think that’s me somehow! I’m back at work on Monday after two weeks off and dreading it… so hopefully enjoy this weekend and get lots more done! Have a good one folks.